Garden Mural. 20ft x 8ft. 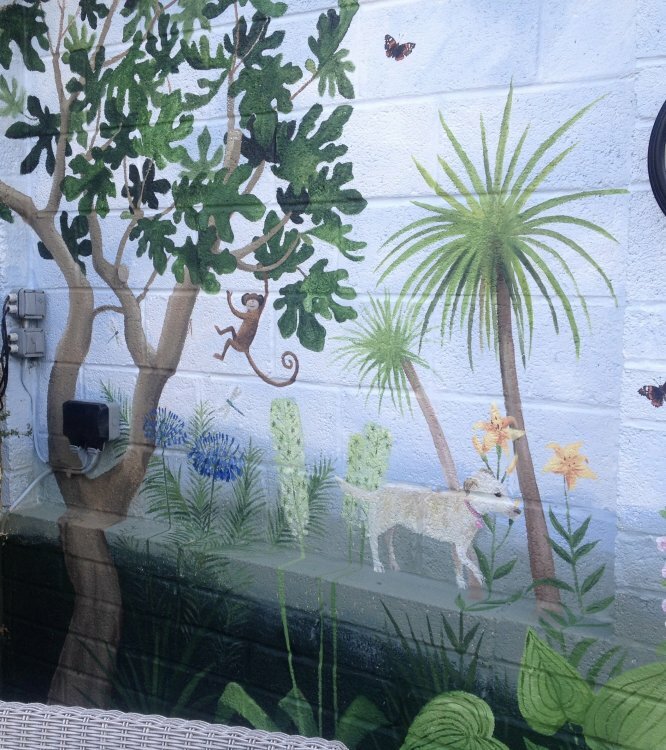 Exterior mural artwork in Poole. A theme based on the home owner's garden including English Cottage garden and tropical plants, animals and pets. September 2017.